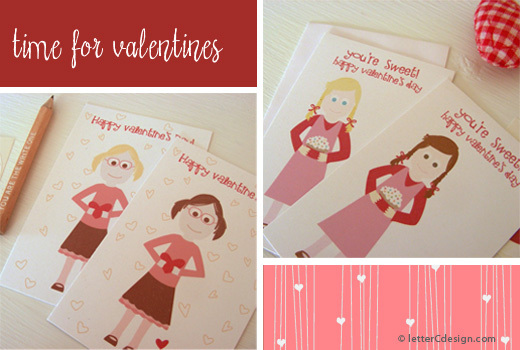 Lots of cute valentines are available to choose from in my etsy shop. 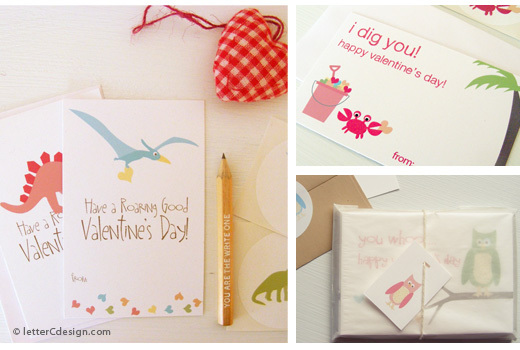 The tiny size valentines aren’t mailable, but they are perfect for your kids to hand out in class. Every year I ask my nieces and nephew what they want on their cards. So far this year, all I know is one of them mentioned raining hearts. The little girl valentines above are based on the cards my nieces gave last year. Want them to look a little more like your little girl? Not a problem, you can get the hair and eye color changed. Place your orders before February 4th to make sure you get them in time for Valentine’s Day. I found your cards on an online blog. When I click the link it takes me to etsy which I am unfamilar with. I like the dinosaur one. It says “SOLD”. Does that mean sold out? Can I buy it from your company? How? Can I order it from you over the phone?